The U.S. Air Force Thunderbirds will make their only appearance outside the U.S. this weekend as they open the Canadian International Airshow for the first time in 15 years. 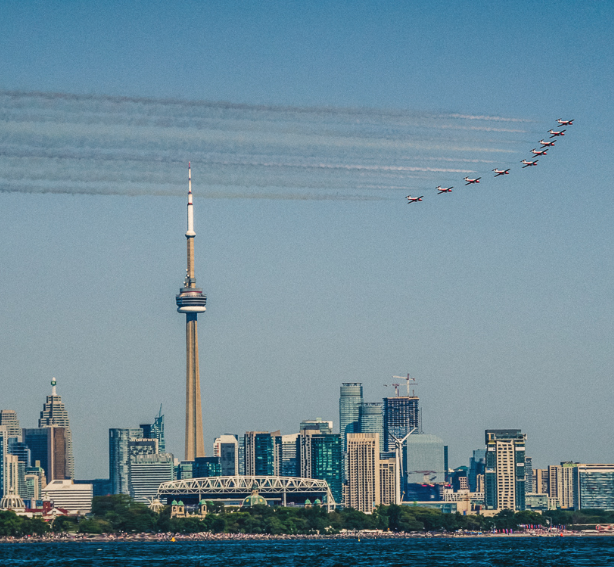 The country’s largest and one of its oldest airshows takes over the airspace over Lake Ontario to entertain the thousands watching from the Canadian National Exhibition grounds in Toronto. It’s the 69th anniversary for the show and it routinely attracts the best acts over three days from Saturday through Monday. In addition to the Thunderbirds, the RCAF Snowbirds and CF-18 demonstration team will both be there. The USAF is also sending an F-35 to take part in a heritage flight along with a P-51. Several Canadian acts will be featured, including Gord Price (Yak 50), Mike Tryggvason (Giles 202) and Kyle Fowler (Long EZE). The show runs from 1 p.m. to 3 p.m. each day.